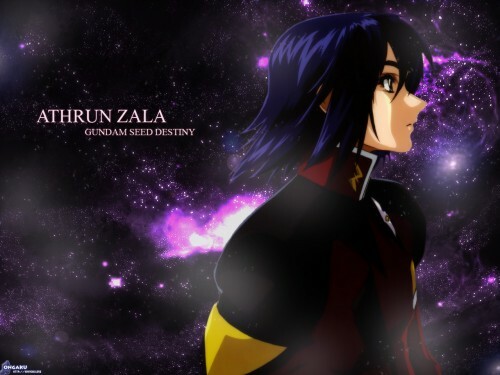 Well we all know just how much Athrun angst. When I saw this image of him I just had to make it into a wall. I didn't want to make it super fancy though. So I kind of put him in a spacey world with a bit of fog and star dust. The star field is what took the most time... for some reason, my stars like to turn out the pretty close to the same as my other star fields on walls. *frustration* What is up with that? lol Oh well... Anyway, it is nothing great, but I hope someone likes it. Gorgeous! And I love that scan of Athrun! ::favs:: Thanks for sharing it! wow!Beautiful background you have here! The scan of Athrun really goes! I like the foggy effect too! hmm.. maybe i shud start making walls too? Oh! I love this scan of Athrun! He is sooo HOT!